Most of us already knew it was next month the new big Android device Xiaomi Mi5 is going to launch but we were not sure about the date. But that was until yesterday, because as of now the launch date of this new device has finally been confirmed by Xiaomi co-founder Li Wanqiang. The date for the unveiling of this flagship phone has been scheduled on February 24. Xiaomi’s much hyped and widely anticipated Mi 5 flagship smartphone will meet the audience after almost a gap of 1.5 years since the launch of its predecessor Mi 4. In another news leak on Weibo on 12th of this month, it has been speculated that factory workers at Foxconn are busy in heavy overtime duties to come up with enough stock of the new device since Xiaomi expects Mi5 to make a sensational entry with high demand from all around. In the mean time, a Xiaomi presentation slide has been leaked and is making rounds online revealing many aspects concerning the launch event. There are already speculations that multiple devices can be announced as the launch event can last for more than 2 hours. While speculations, rumors and leaks for the next one month or so will continue we can have a closer look at the device specs, design, display and features. The new device will obviously be far ahead of its predecessor as far as processing power is considered. 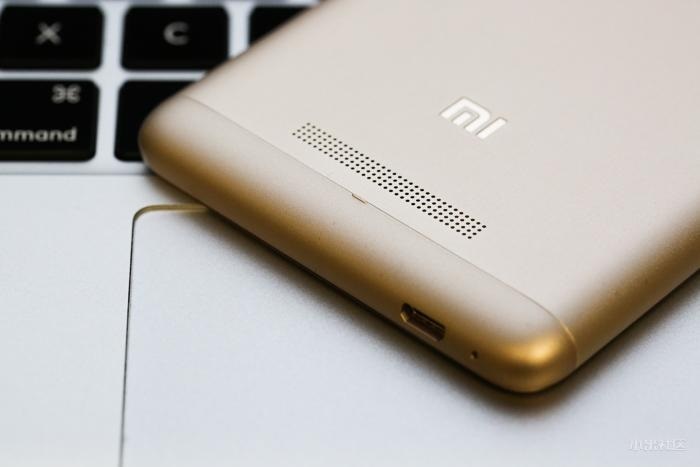 Mi5 according to many credible suggestions is expected to have the Snapdragon 820 chipset. As per the January 17 leaks, the device besides having a 4 GB RAM capacity is going to have Android 6.0 Marshmallow as the OS. Obviously, Marshmallow is the latest Android offering and Xiaomi is very likely to coincide with that. Mi5 besides being powered with the Snapdragon 820 chipset and 4 GB RAM is likely to offer larger device storage options ranging from 16 GB, 64 GB or 128 GB of inbuilt storage. The new flagship device from Xiaomi will also have the optimum camera output. All major leaks on specs revealed that the Xiaomi Mi5 is likely to boast of a 20 MP rear camera. Just 2 weeks ago, some really credible looking leaks showing Xiaomi Mi 5 made many of us look at the splash design of the device. The device expectedly coming with a fingerprint scanner will also offer a physical home button, though it is still not clear whether the button is clickable just like new Samsung device. Mi 5 is expected to have a metal frame with a glass cover that near the side edges is slightly curved. The camera is very likely to be positioned in the rear side on the upper left corner of the phone. The flash of the Mi5 is going to be oval. As for the range of colors available with Xiaomi Mi5 we can expect the device to come in black, white, gold, and pink. The images leaked of the Xiaomi Mi5 Plus look much similar to the Xiaomi Mi4 and to some extent to iPhone. Ultra thin side bezels will add to the attractiveness of the Mi5. Mi 5 is very likely to come with a 5.2-inch display, if we believe in most leaks and credible rumors. This sounds more credible because company already has a few devices with slightly bigger display and this time other than looking too big it can concentrate on adding to the sophistication of Mi5. LCD display is more likely though as per certain claims Mi 5 may come with an AMOLED screen. Xiaomi though so far did not make any device with an AMOLED screen, Mi 5 can just be a shift, though until now there is nothing credible to depend upon in this regard. In resolution Xiaomi Mi5 is certainly going to be at par or slightly ahead of its competitors on the block and can deliver a 1080 by 1920 pixel display. Some people also predict a Quad HD display as Xiaomi in its product portfolio already has some Quad HD devices, but there is hardly any clue to depend upon. Synaptics made pressure sensitive display? Xiaomi in its flagship phone can follow the footstep of Apple’s Force Touch and can introduce a pressure sensitive display which has reportedly been developed by Synaptics. The Mi 5 display is expected to have capacity to decipher between light finger taps and forced presses for different actions. As per most speculations, Touch ID sensor will be a highlighted feature in Mi5. In that case, Mi5 would be the first device from the company with Touch ID. Following the footsteps of most big device brands including Apple and Samsung Xiaomi this ime is going to make their Mi 5 and Mi 5 Plus water resistant. After the active water resistance capability of iPhone 7 making rounds on the net Xiaomi is trying hard to offer the best technology for this feature. Maybe your decision to buy a dedicated gaming console may wait another month till the launch of this device. Yes, Xiaomi Mi 5 is going to offer the deadliest combination for mobile gaming by offering both 4k HD video streaming and Generation Next IR Blaster. Furthermore, this Xiaomi phone can be connected wirelessly with Ultra HD big screens and with remote control for a lively gaming experience comparable to gaming consoles. A technology called external phone coolers is already making round with Xiaomi Mi5. Xiaomi Mi 5 might have a technology to cool the device externally, as hours of unrestrained gaming often heats up mobile devices. With increase on every fronts including processing power, storage and display output we can easily expect the device to offer a much higher battery output. While the previous device from the brand is equipped with 3080 mAh of battery power the new Mi 5 is likely to have at least 3200 mAh and Xiaomi Mi5 Plus at least 3550 mAh battery power. Android Gingerbread - What's New ?